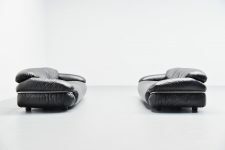 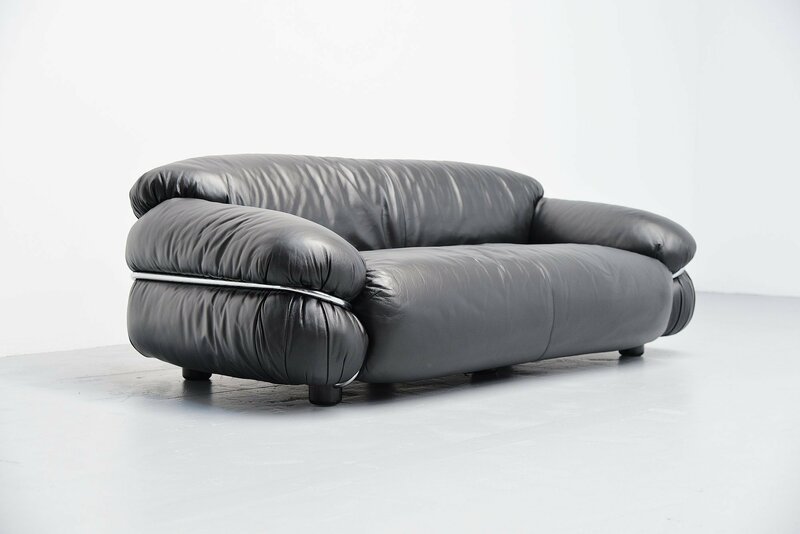 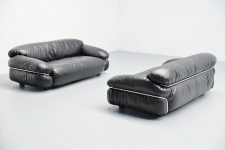 Very nice pair of 2 seater ‘Sesann’ sofa’s designed by Gianfranco Frattini and manufactured by Cassina, Italy 1969. 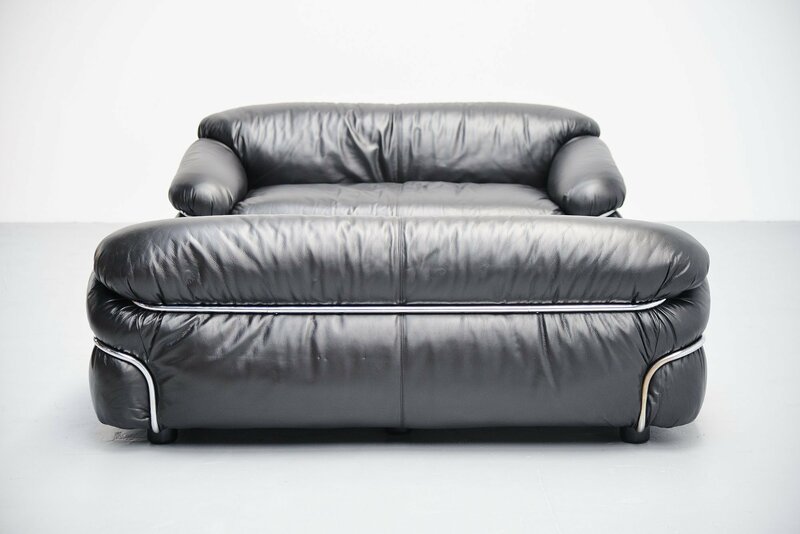 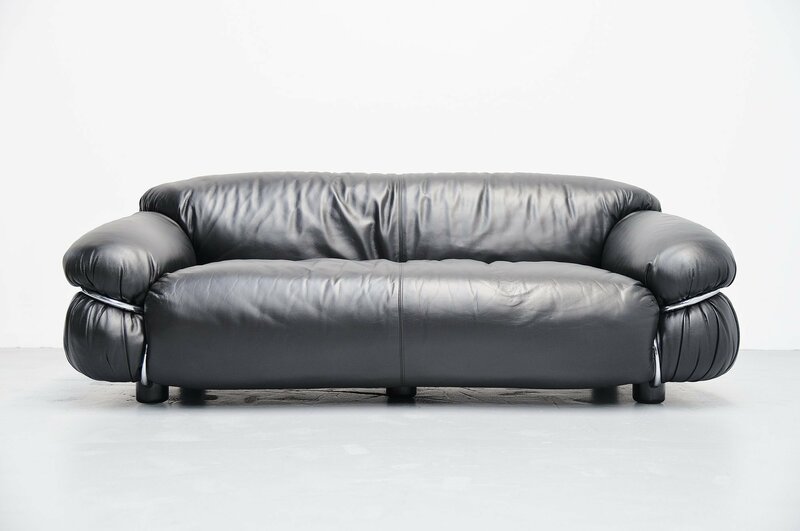 These sofas have very nice black leather seats and chrome tubular metal frames. 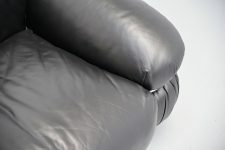 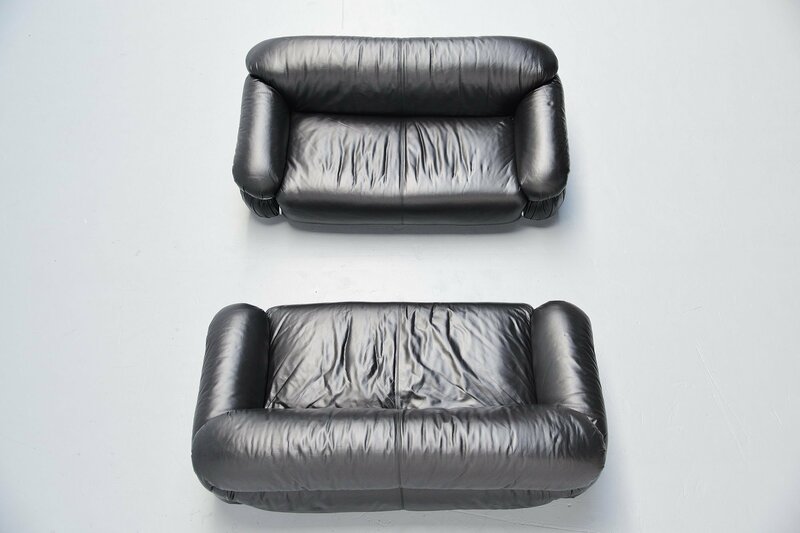 This is for a a very comfortable pair of low lounge sofas and they are fully stuffed with foam on the inside. 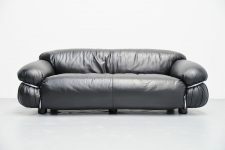 The sofas have a high comfortable seating range and are in excellent condition. 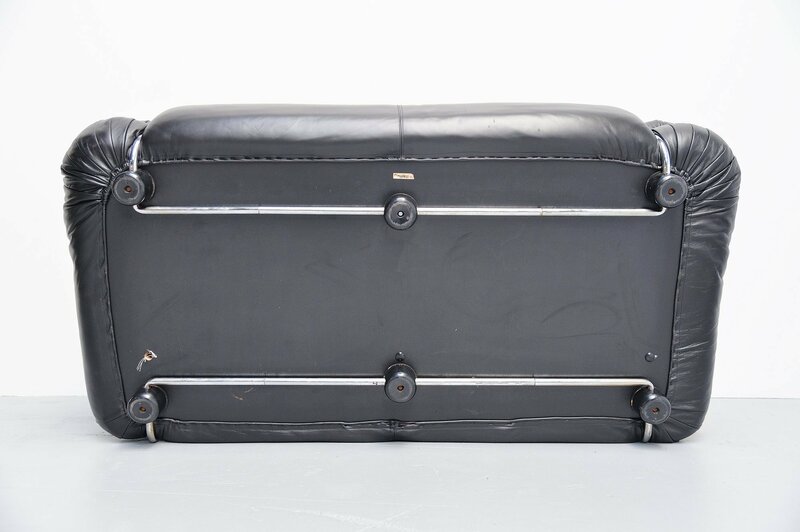 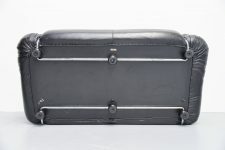 Marked on the bottom with the Cassina sticker. 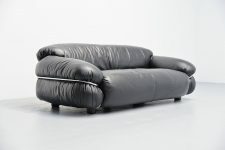 Sold and priced per sofa.